I say my first multi-tier because in reality this is my 3rd wedding cake. The first having been this one, and then recently this one. 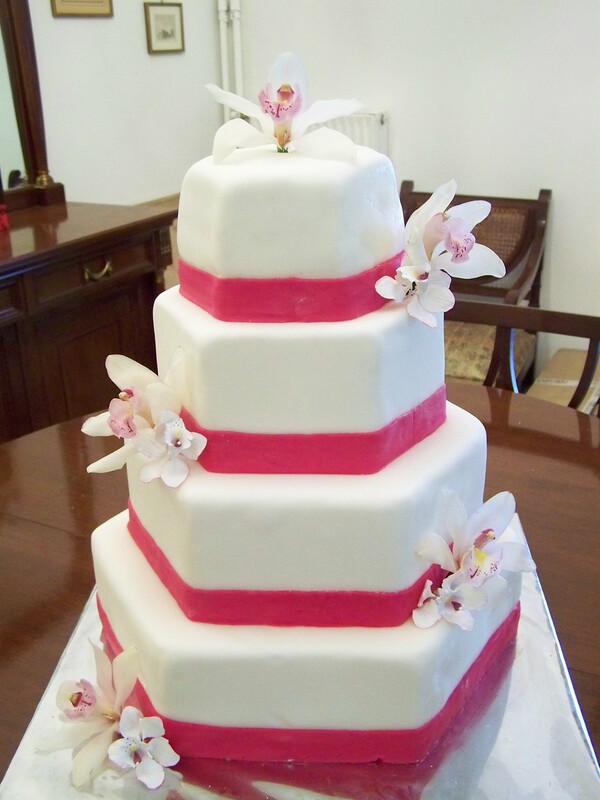 But this is my first “real” wedding cake or large one. The first bottom 3 layers are dummy cakes and the last little one at the top is the real one the bride and groom would cut into. 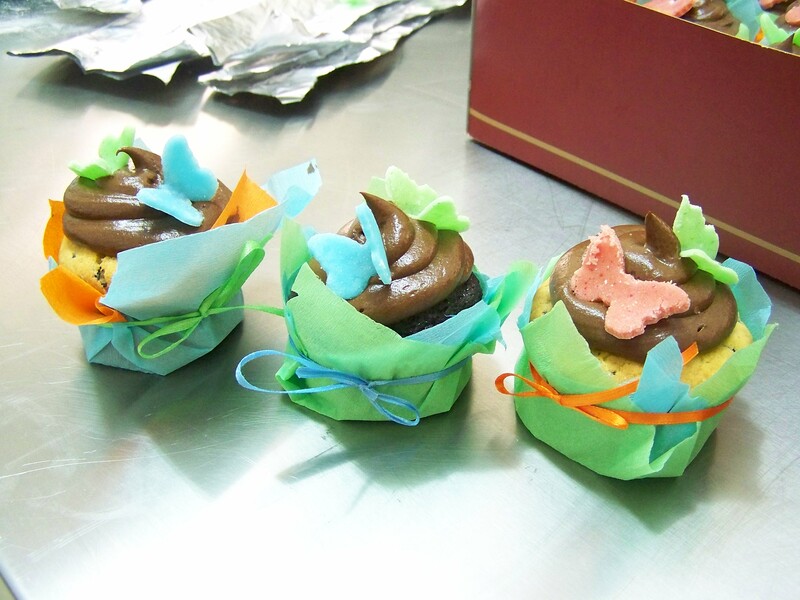 All wrapped up as one in rolled fondant. 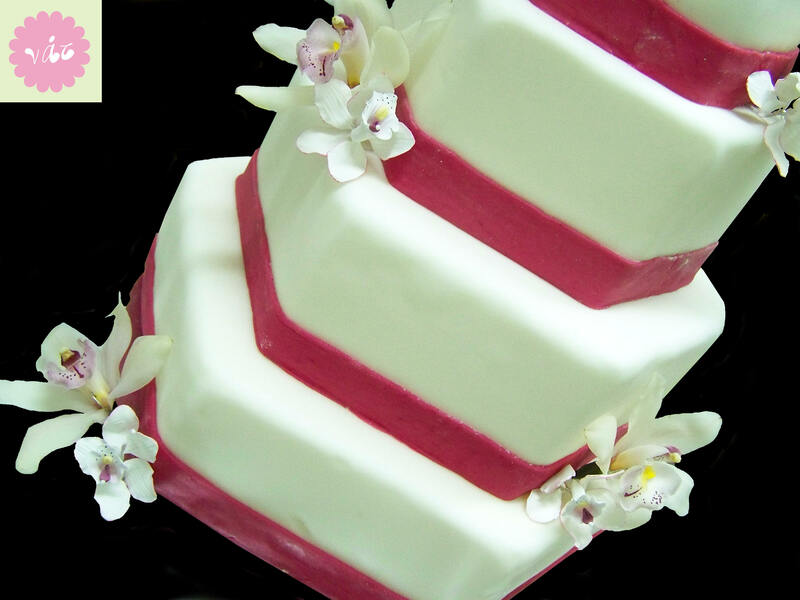 The large orchids are real fresh ones, while the little ones are handmade with sugar paste. 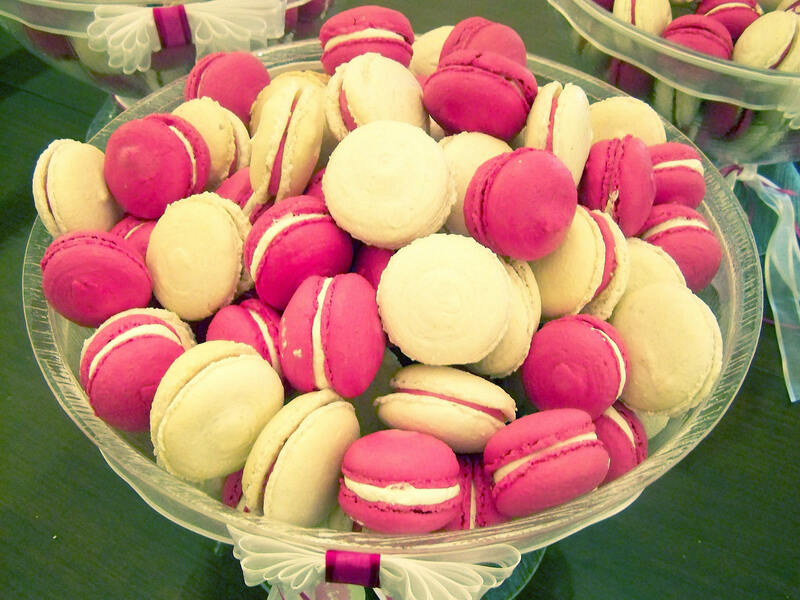 These are the macarons that were offered at the church. I did a lot of local searching to find these large bowls. They are actually fruit punch bowls. Dressed up nicely I think they did the trick! 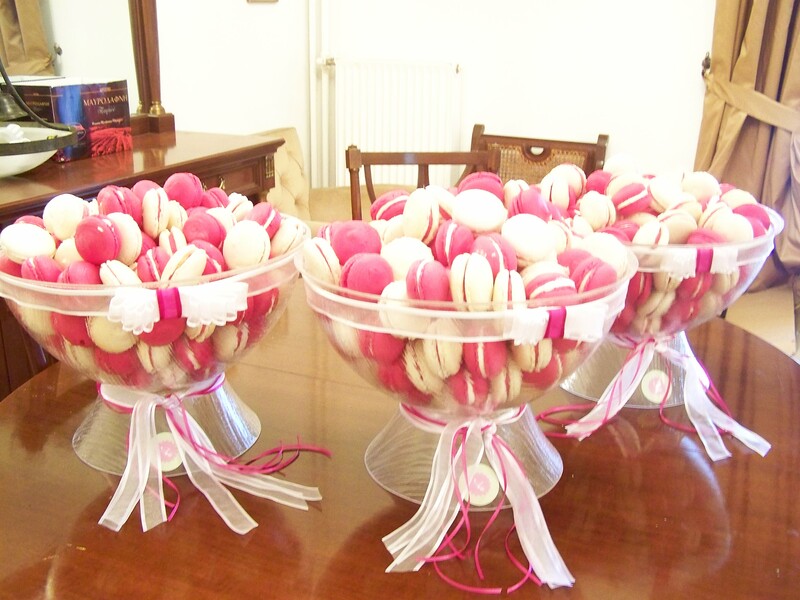 The bowls held about 120 macarons each. There were 700 in total so the rest were in boxes and the bowls were refilled as they emptied. Thank you Efi, who has been my helper all week getting everything ready for this weekend. She did a wonderful job with those pretty ribbon bows! 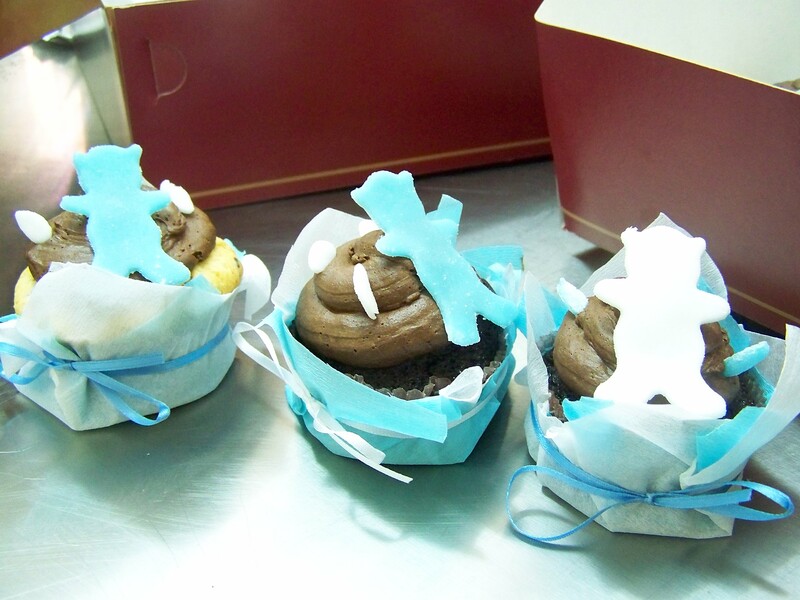 I also had a couple of orders for cupcakes. 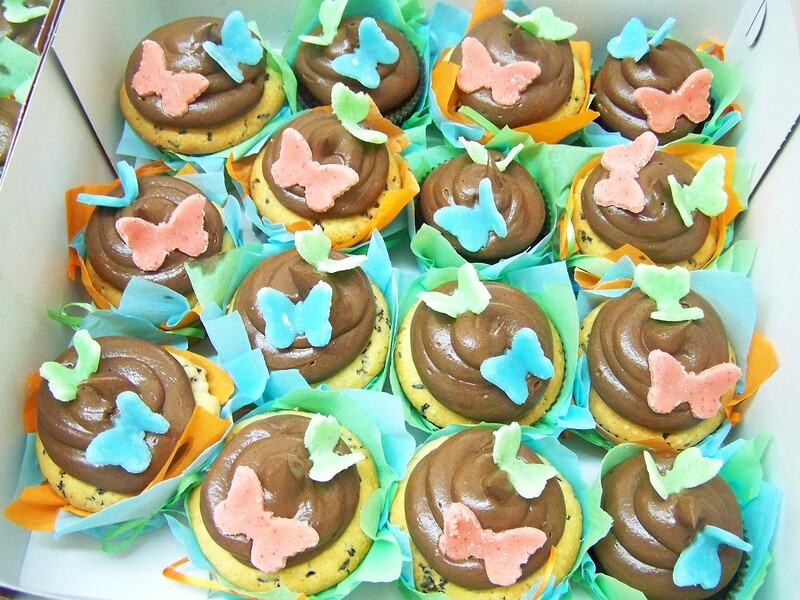 A green, orange and blue butterfly theme. And a more boyish order. 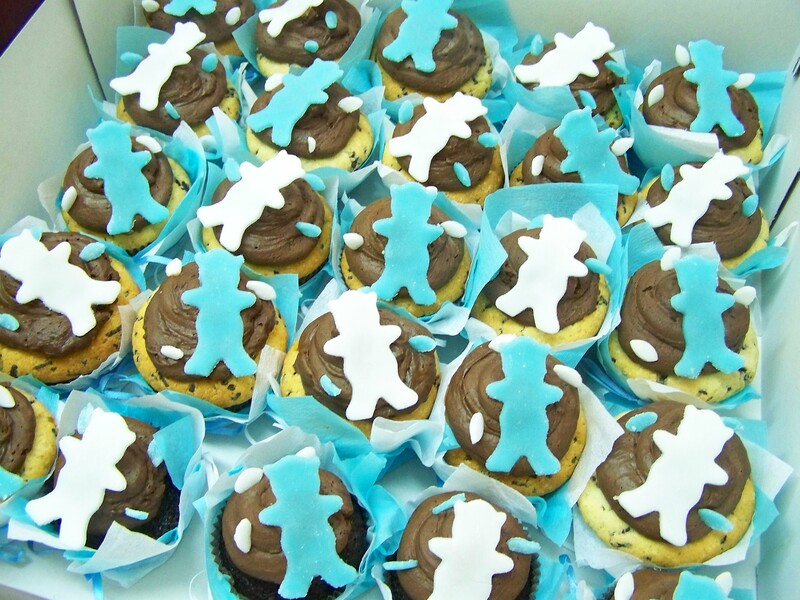 With blue and white teddy bears. It was another busy weekend which isn’t over yet. One last thing to do this Sunday morning. Shrek! Luckily he is partly done so I’ll be able to take advantage of the beautiful weather and take the kids to the beach today. Thanks for visiting! !